A decision is due shortly on a huge contract for the reconstruction of the East Demerara Water Conservancy’s (EDWC) north eastern dam which has attracted bids from BK International among others. 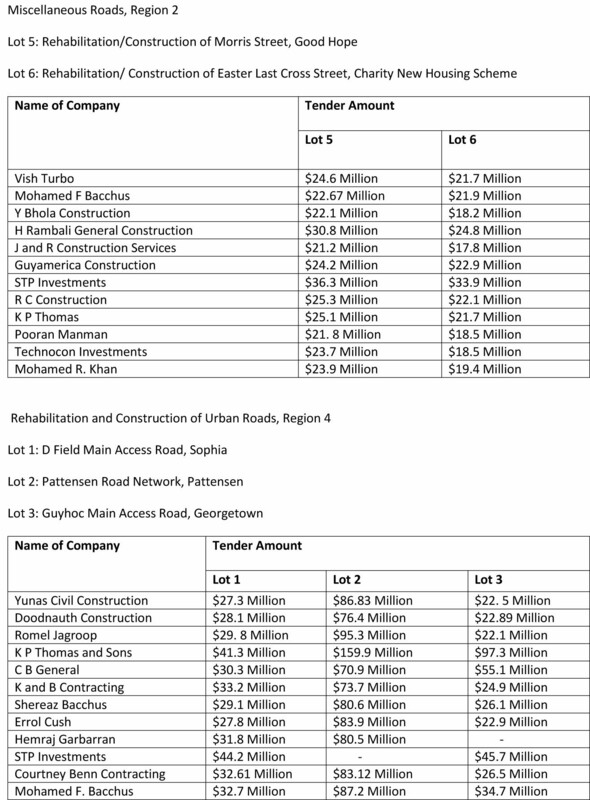 Bids for this project were opened on May 24 at the National Procurement and Tender Administration Board (NPTAB), Ministry of Finance compound. 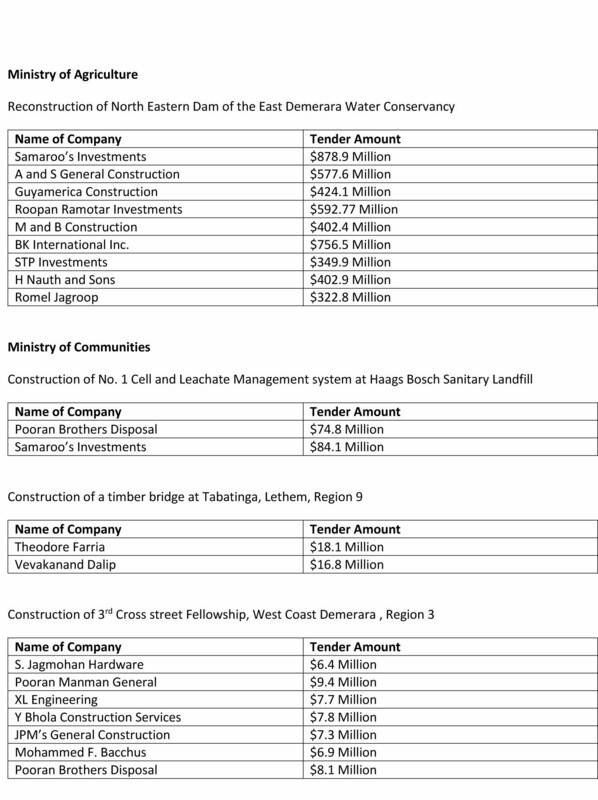 The weakness of the EDWC dam has created anxieties about breaches during periods of heavy rain. 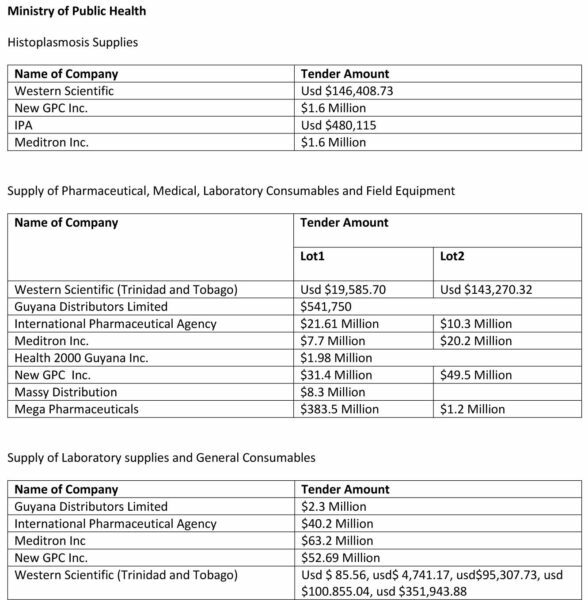 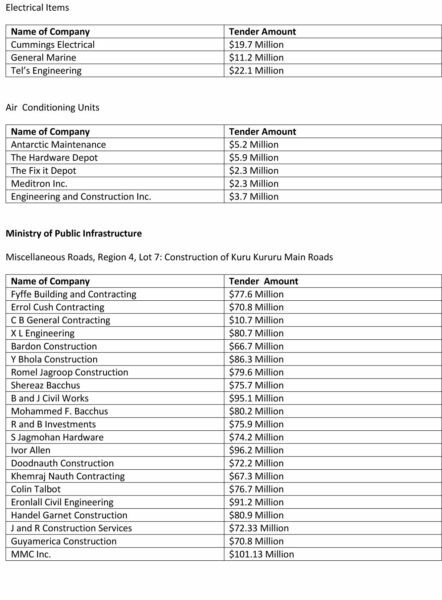 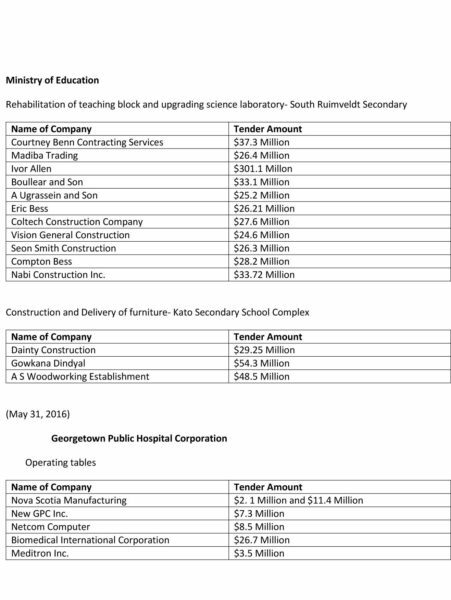 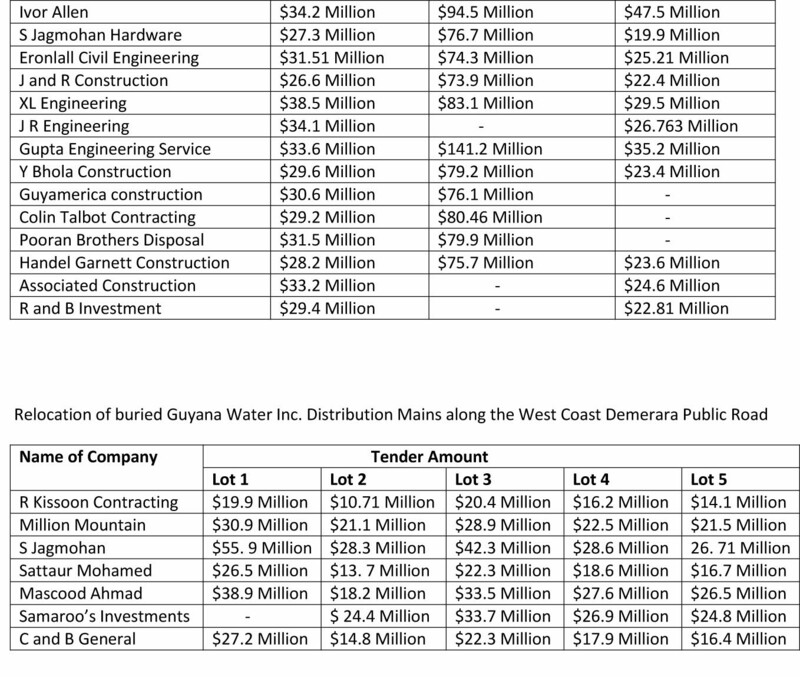 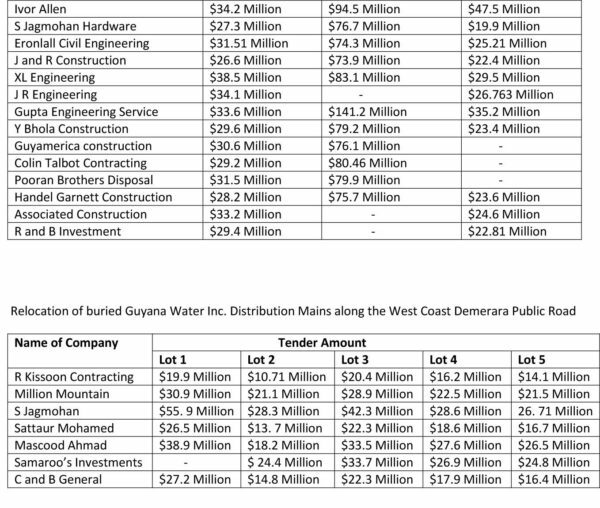 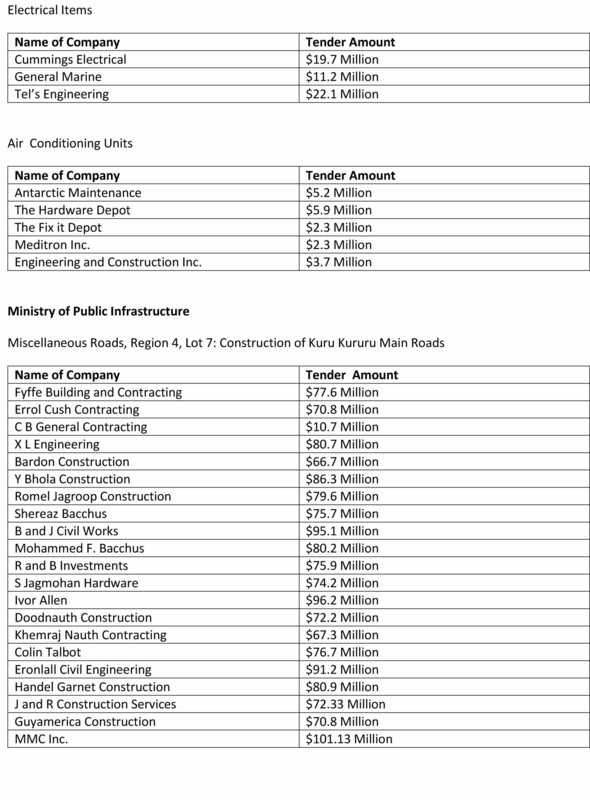 The bids for this and other projects from May 24th and 31 are shown below.